Events are an essential part of the ‘Business Process Model and Notation’, or ‘BPMN’. In this free video, Mike from Good e-Learning looks at how events are classified and utilized within BPMN diagrams. Interested in finding out more? Contact Good e-Learning today! Business Process Model and Notation, or ‘BPMN’, is a style of graphical representation designed to help users map out business process models. This can make complex processes and services far easier to understand, creating a more holistic sense of perspective which can be invaluable for key decision makers. ‘Events’ are key for BPMN diagrams, whether they are as simple as sending an email or something more significant, such as detecting and resolving a product defect. BPMN offers more than 60 different event classifications, but how exactly are they represented and, more importantly, why? In this free video, Mike from Good e-Learning takes a look at how BPMN events are classified and utilized. Good e-Learning offers a number of excellent online courses in subjects ranging from enterprise architecture to business process modeling. The BPMN 2.0 Foundation & Practitioner course not only trains students in BPMN tools and methodologies, but also demonstrates how to apply them to real-world organizations. 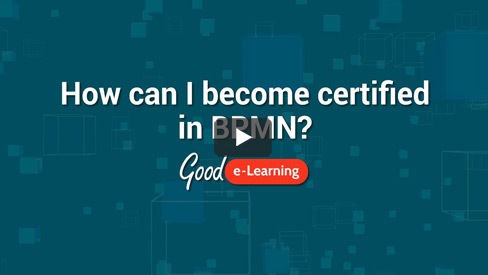 This can help students to apply BPMN within their current job roles, as well as boost their earning potential.